This month at Pasture Living, we will be doing a series about "In-Depth on Cod Liver Oil." This was one of the first health food, along with coconut oil, that my family consume daily since we started our journey of healthy living. The health community regards cod liver oil as the number one superfood and I will share with you why that is so. Hopefully by the end of this series, your eyes will be opened to this amazing elixir that has kept the ancient generations healthy and strong. Afterwards you may just be convinced why you MUST, and not just SHOULD, take cod liver oil. 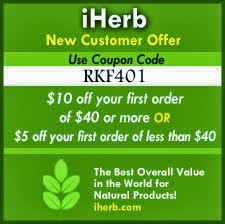 I promise it will be the best investment to you and your family's health and something you do not want to miss out. I hope by now you've understood the "how," "why," and "what" of fermented cod liver oil (FCLO), the differences between FCLO, regular CLO, and regular fish oil, and discussions on cost, taste, and other considerations before purchasing FCLO. I knew for sure that my family had to start taking FCLO. I just to find the brand. Online searches always referred me back to Green Pasture and I understand why. Here are my own personal reasons on why I decided to take Green Pasture FCLO. 1. Green Pasture is the only company that makes FCLO through the traditional fermentation method, retaining all the naturally-occurring nutrients (and even enhances them!). It doesn't go through any industrial processing or have any synthetic vitamins added to it, making the products very stable from oxidative damage. 2. Out diet lacks the valuable nutrients found in FCLO (mainly the naturally-occurring omega-3 fatty acids DHA and EPA and vitamin A) because we eat very little wild-caught fish to supply us with DHA and EPA and I cannot guarantee that the meat we eat are pasture-raised. Remember that animal fat is the only source of true vitamin A. 3. 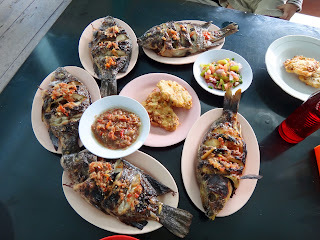 Even if we get to eat wild-caught fish (which is often unavailable or very expensive in Singapore), we have to eat a lot of them in order to get the same amount of nutrients in a serving of FCLO. 4. Our lifestyle is mostly indoor and our body lacks the natural vitamin D needed for so many bodily functions and optimal health. The "ten minutes in morning sun" mantra gives us very little vitamin D from the sun. Definitely not enough. (And we've learned that contrary to popular belief, our body produces the most vitamin D when the sun is at its peak (midday), not early morning). Also, science has proven that our body cannot absorb calcium if we lack vitamin D, so taking vitamin D-rich FCLO will help calcium absorption in our body. 5. Evidences show how taking FCLO kept primitive generations in superb health. Our generation thinks it's the norm for all children to wear glasses, have crooked teeth and wear braces, but it wasn't like that before. Strong physique, well-formed facial features, perfect eyesight, teeth alignment, and jaw structure were the norm, and I hope that my children can grow up the way God designed them to be. 6. My 18-month old toddler has always been a picky eater and does not like meat or fish, thus giving her FCLO, along with coconut oil, ensures that she gets all her nutritional oils (good fats) that are so vital for optimal body functions (that said, FCLO is even more important for those who lacks meat/fish sources in their diet). 7. FCLO comes out to be more cost-effective than taking multiple kinds of supplements and eating wild-caught fish and I feel more assured and safe knowing that my family gets our nutrients that are naturally-occurring, not artificial or synthetic. So, those are my main reasons for consuming Green Pasture FCLO. You can think of cod liver oil like honey. They are good for you in their raw state, but there are also processed ones which you want to avoid. Green Pasture fermented cod liver oil is like manuka honey with the highest UMF rating. It is the best of its kind. If I were to recommend one supplement to anyone, it would be FCLO. Next, we will end this series with resources for your own reading and information on where and how to order Green Pasture FCLO in Singapore. Disclaimer: I'm not affiliated with Green Pasture nor am I paid to write a review about their products. I'm just a very satisfied consumer and believe in the effectiveness of Green Pasture FCLO. All opinions are completely my own. There Are Such Things As "Free"